MRI (Magnetic Resonance Imaging) uses powerful magnetic fields to let your physician see the inside of your joint without making a surgical incision. 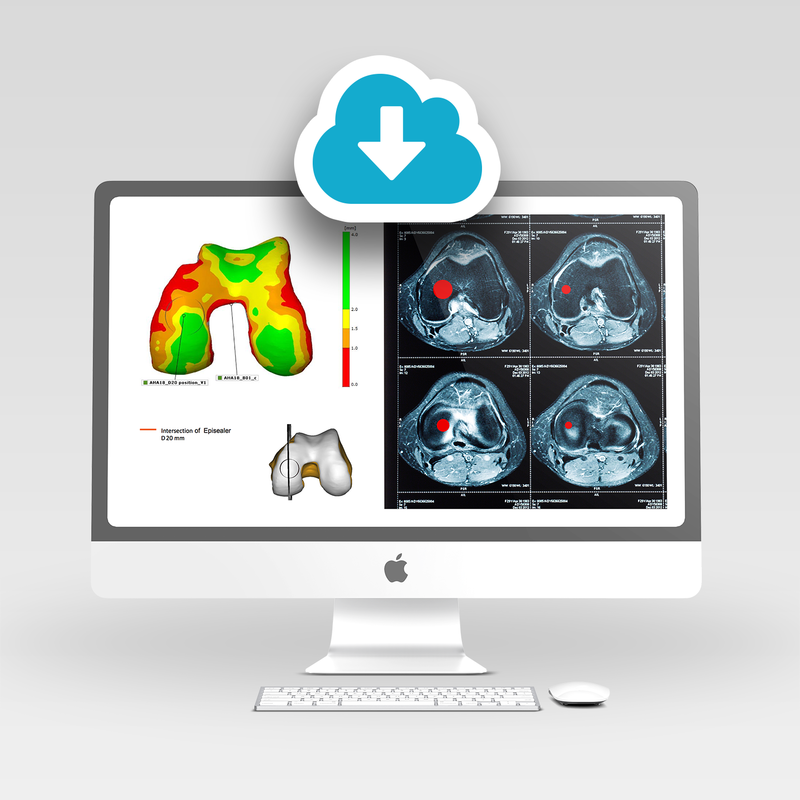 An advanced MR scanning program produces images with detailed information of your knee, including details regarding e.g. bones, cartilage, tendons, muscles, blood vessels and ligaments. Episurf has developed a specific MRI scanning protocol that uses a combination of 2D and 3D scanning sequences to get a detailed view of your joint. The 2D sequences, also called diagnostic sequences, enable us to look at the damages to your cartilage and underlying bone. The 3D sequence makes it possible to produce a virtual 3D model of your knee. The combination of the 2D and 3D sequences enables the Episurf team to produce a 3D visualisation of the anatomy and condition of your knee. This visualisation will also be the basis for the design of your individualised Episealer implant and surgical instrumentation that fits your damage and knee anatomy perfectly.